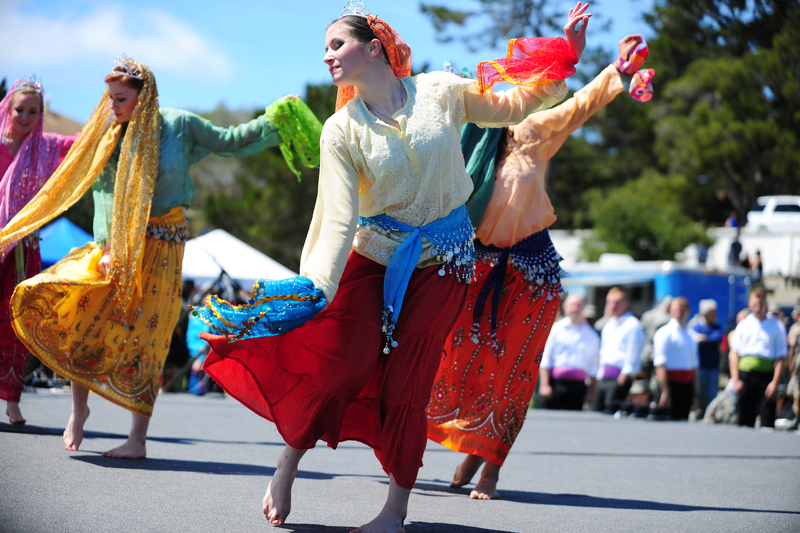 PRESIDIO OF MONTEREY, Calif. -- The Defense Language Institute Foreign Language Center held its version of Language Day at venues throughout the Presidio May 9, 2014. Thousands of visitors attended the free event aimed primarily at students in grades K-12. School groups attended from across the state. Language Day features cultural displays and activities, classroom presentations, ethnic foods served by local multinational vendors, and a wide variety of entertainment. Throughout the day, visitors were entertained by a colorful program that included Korean dancers, a leaping 60-foot Chinese paper dragon, Hindi and Afghani musicians playing traditional instruments, European choral ensembles and troubadours, Hebrew recitations, Persian folk singers, and a variety of other performers and cultural entertainments. All 24 languages taught at the DLIFLC were featured in special presentations during the day. Official Presidio of Monterey Web site Official Presidio of Monterey Facebook PHOTO by Steven L. Shepard, Presidio of Monterey Public Affairs.